by Dr. Cirlincione and Dr. Spielfogel. 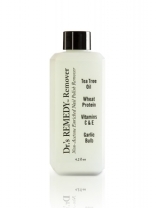 This blend includes: wheat protein, tea tree oil, garlic bulb extract and lavender. 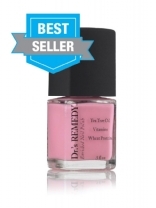 DR.'S REMEDY IS THE FIRST AND ONLY NAIL POLISH TO RECEIVE THE AMERICAN PODIATRIC MEDICAL ASSOCIATION SEAL OF APPROVAL. 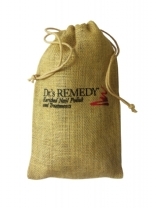 Vegans, Dr.'s Remedy utilizes a range of organic ingredients. 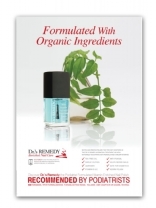 Every bottle is free of formaldehyde, formaldehyde resin, toluene, parabens, and phthalates—all potential carcinogens. 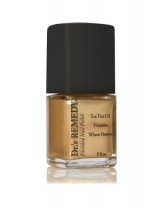 An enriched top coat that finishes your manicure or pedicure with the perfect level of shine and durability. 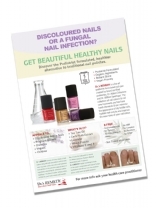 (Please note this special formula is designed to be used as a top coat only. 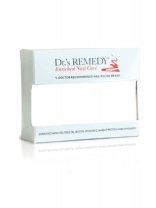 It is not meant to be used alone or as a base coat.) 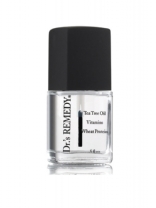 Use the base coat as a clear varnish. Clear base coat. 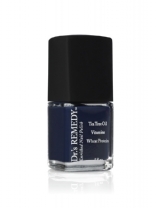 Recommended for wear under all of Dr.'s REMEDY nail polish shades or worn alone for a shiny natural nail. Enriched with tea-tree oil, garlic bulb extract, lavender, wheat protein and vitamins C and E.
CREME - A cafe au lait with hints of pinkish grey and a splash of lilac. 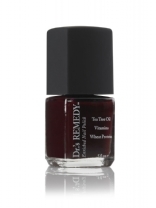 CREME - A rich bordeaux with a luxurious matte finish. CREME - A hot pink classic with rich, romantic allure. CREME - The perfect ultra bright pink, almost neon and perfectly matte. CREME - A poppy, fresh bubble-gum shade. CREME - Baby girl pink with swirls of pale purple. 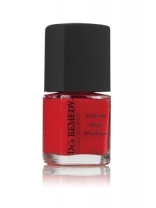 CREME - A true iconic old-Hollywood red. SHIMMER - A cheerful candy pink with a subtle flamingo pink. CREME - A sea-at-dusk shade that reflects light and brings dimension. CREME - Bright pinky orangey and matte. SHIMMER - Rich, shimmery and luxurious.